This Paper Mate Ink Joy Promotional Pens comes in a variety of colors, ensuring that your logo will truly stand out! 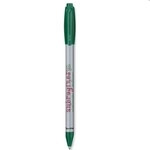 This Paper Mate Retractable Colored Barrel Promotional Pen features an extra smooth writing system and a soft comfort grip. It features the smooth feeling of a gel pen with quick drying bold ink.